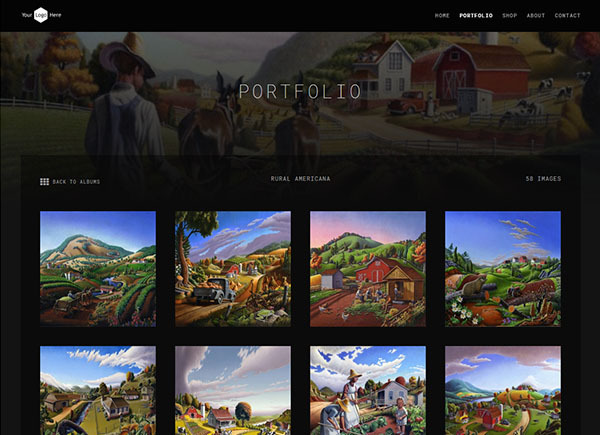 Professionally designed artist portfolio website and gallery. 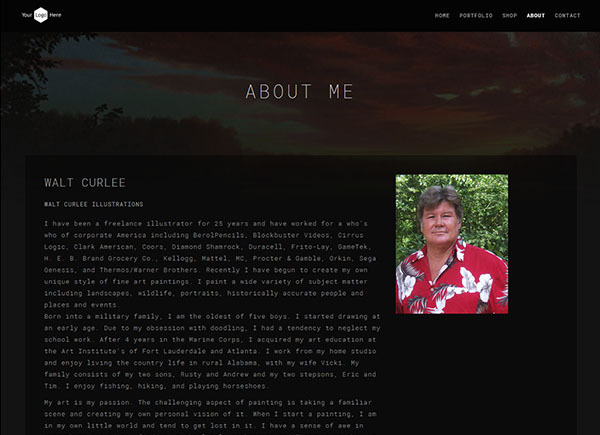 PLUS a beautifully designed personal website for your artwork or photography. Learn more below or view our feature comparison chart. Ready to Purchase the Personal Artist Website subscription? Please choose one of the three payment options below to upgrade your account. 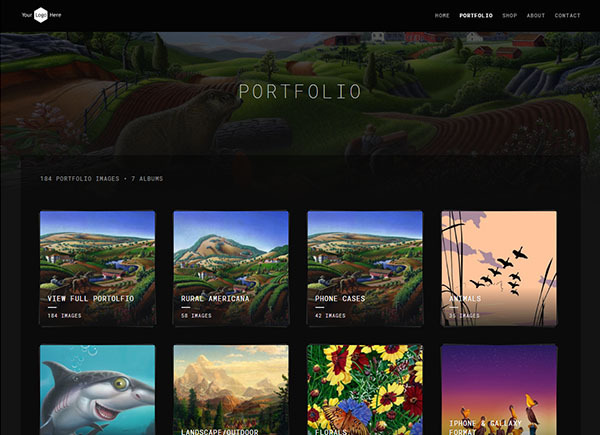 ArtWanted.com is now offering beautifully designed artist portfolio websites as a new upgrade option for our members. 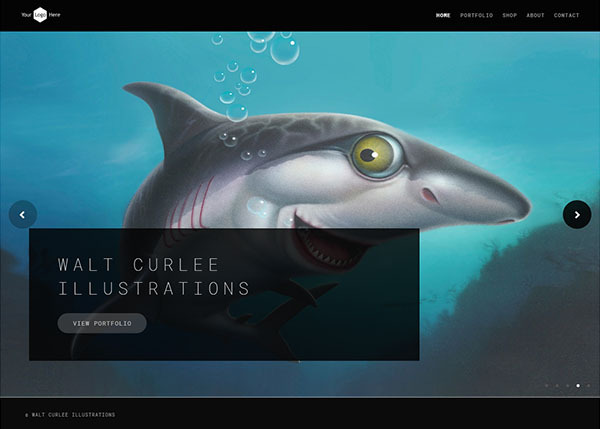 Using the images and information already powering your ArtWanted.com portfolio, we create an additional personal website to promote your artwork with. We offer multiple design templates to choose from that are fully-customizable with your own personal preferences. You can also change your design theme at any time, so you can get a whole new look-and-feel to your website with just a click of a button. These Personal Websites not only look great, but they are designed to work great across all desktops, laptops, tablets and mobile phones. As additional website designs become available in the future, you can upgrade your portfolio in seconds and without any additional cost. Improve your branding and make it easier for people to find you by using your own custom domain name. Have you ever wanted to get your own website like YourName.com? The ArtWanted.com Personal Website includes a free ".com" domain name of your choice* (as long as it's available) to market your artwork on. Already own your own domain name? No problem. We can show you how to forward your traffic from your existing domain name to your new ArtWanted.com Personal Website. Add your personalized website domain name to your e-mail signature and all your marketing pieces to drive people to your online portfolio. Behind the scenes, we are tracking every visit and click inside your website. We provide all of this information to you in easy to read charts and graphs. This information can be accessed inside your member control panel at anytime. These new charts are in addition to the existing ArtWanted.com statistics reports and provide real-time traffic reports on your website activity. Some of the traffic reports you will see are: Daily website pageviews, hits per website section, top 10 images in your portfolio and your top ten ablums (sub-galleries) that are being viewed. Because you have asked for it, we now also have a full integration with Google Analytics. Dig even deeper into understanding your website visitors with dozens of advanced reports from Google Analytics tracking. We often hear that artists don't like spending the time uploading their new artwork to multiple websites and all the extra time it takes to manage different online content. Problem Solved. 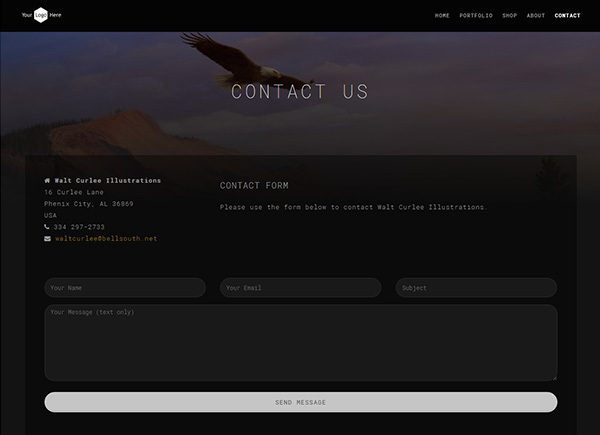 Your ArtWanted.com account and your Personal Artist Website are directly linked together. This means that when you upload a new image to ArtWanted.com or change a setting, your personal website is updated automatically with your new changes. No more wasted time repeating the same tasks you do to your ArtWanted portfolio to your personal website, because our technology powers both of your websites! Each website design we offer includes multiple pages, depending on your personal settings. 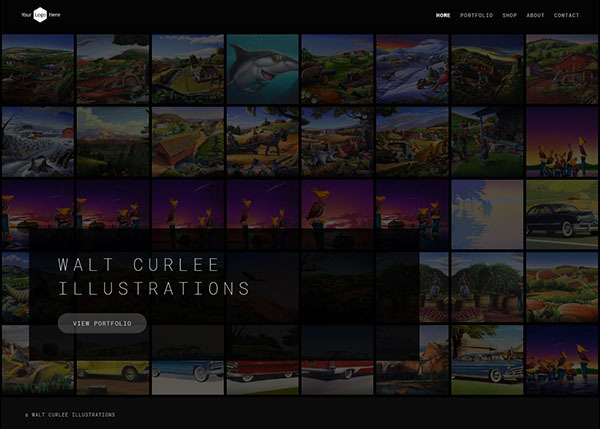 Professionally designed multi-page website that features only your artwork. 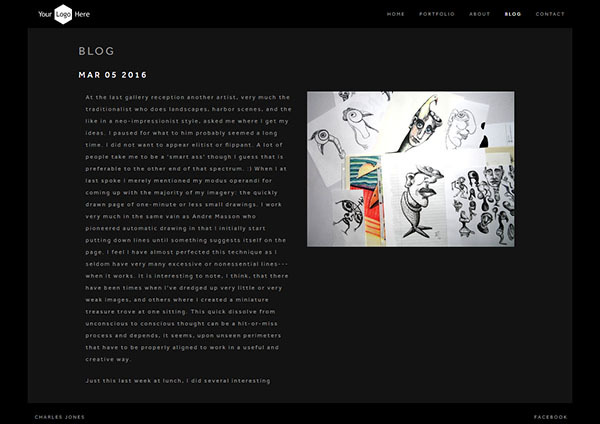 Share your artwork, blog thoughts and more 24/7. Choose the unique style of your website from our selection of professionally designed templates. Change your design at anytime. Customize your website even further with additional layout customizations and website settings. Promote your website on it's own ".com" website domain, which is included in your membership. www.YourName.com is waiting for you. Your website visitors will have a great viewing experience, because the layout adjusts to desktops, laptops, tablets and mobile phones. Ranking high on Google search results is important to us, so your website is optimized using proven SEO techniques. 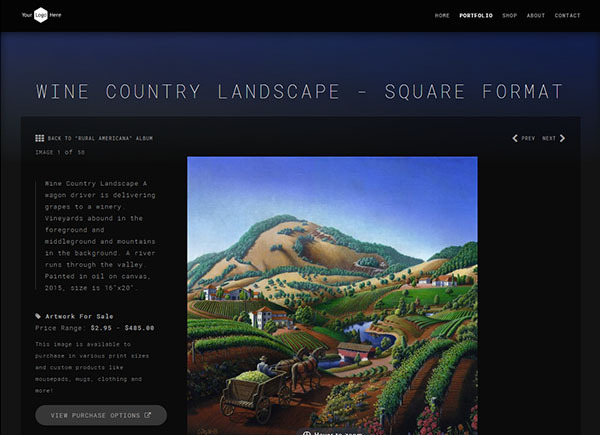 Website visitors can purchase any art you have listed for sale, including all ArtWanted.com print-on-demand prints/products. We track all the visitors views that are browsing your website and we share that information with you on great statistics reports. 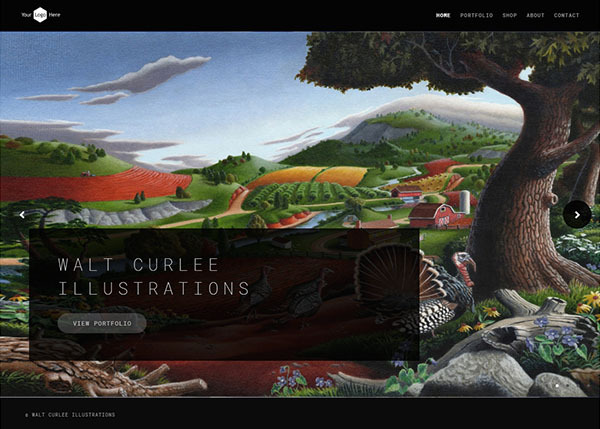 Your personal website is instantly updated with any changes you make on your ArtWanted.com account. No more dual data entry. Because this is your own website, you can upload any image, even if it doesn't meet with the normal ArtWanted.com image guidelines. View dozens of detailed statistics reports and viewer insights with our seamles integration with Google Analytics. We have many more features and design layouts planned for the near future. Subscribers get instant access to new content and features. Not only do you get all of the great features listed above (plus the features of our Basic and Premium Membership accounts), you also get direct input with the ArtWanted.com staff for changes and upgrades. We want your feedback and we will use your comments to make your website even better. To get started with your your own amazing personal website, click one of the blue upgrade buttons below. your account to the Personal Artist Website subscription. Personal Website Terms and Conditions: All paid memberships are recurring subscriptions and will auto-renew when the term expires. You can cancel anytime and request that we turn off the auto-renewal feature. If your account is downgraded to a free account by request (or non-payment) all Premium Website features will be removed and some of your portfolio images may also be removed. Upon downgrade, your Personal Website will be turned off and all traffic will be forwared to your free ArtWanted.com portfolio page. *Domain name feature only available on paid accounts. New domains must be availble to purchase by the public and cost under $10 USD. Domains will be owned by ArtWanted.com for the first year, but can be transfered to the artist after the first year by request. Contact us if you have questions.